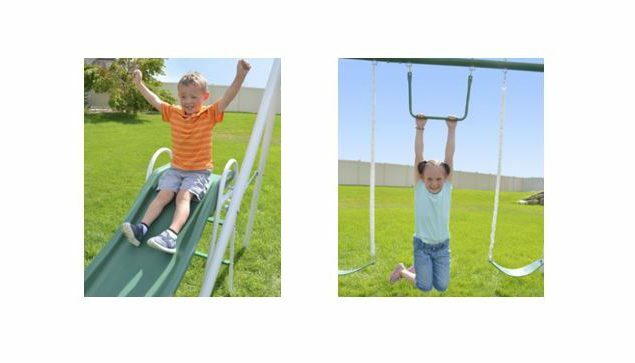 Hello once again and many thanks for taking the time to visit this Sportspower Live Oak Metal Swing & Slide Set review where we have taken a closer look at what it has to offer for both you and your children. We will also take a look at some of the potential problems or issues that we see with it that you will need to be aware of also. We will also outline and summarize all the main features that this Sportspower Live Oak swing has to offer including various images and all the main pros and cons that have come up in the past from several other previous buyers across the market place. 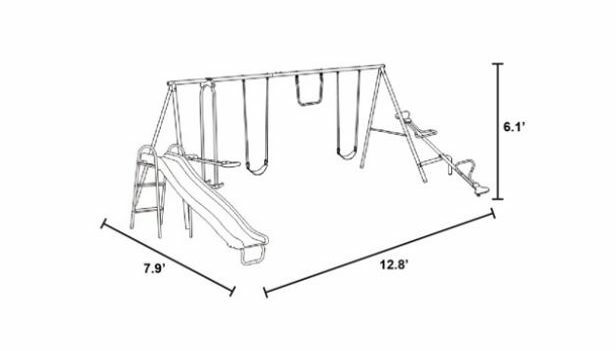 Please be aware that guide prices can only be presented at the time of this Live Oak swing set review as prices can change from month to month or week to week depending on local discount activities so please make sure to view the price checkers provided below to ensure you have the most up to date accurate price information. In addition, we have also outlined some frequently asked questions that will be of interest to you and additional price comparison options at the end of this page also that are worth checking out if you wish to explore prices elsewhere. Q. Are there foot anchors included? Q. What size dimensions are involved? Q. Can toddler swings be added? Q. How tall is the slide? In terms of prices, the price when last seen on sale at Walmart was in the $150 to $200 region which of course can be double checked below. 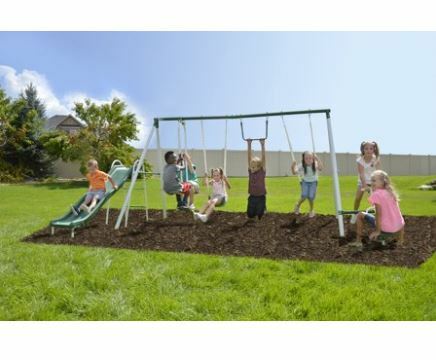 It also meets the ASTM safety standards required and is a great starter swing set which doesn’t cost all that much. No shoe loop swing is included or a nest swing. 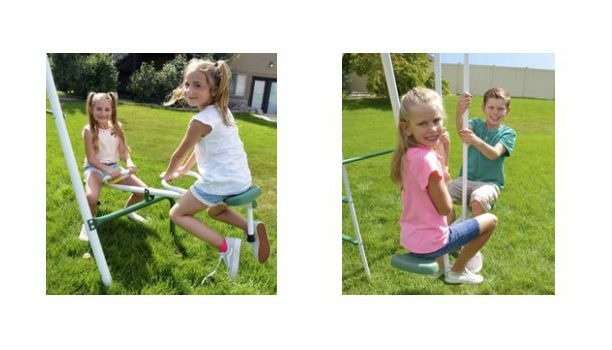 Have you or your kids any personal experience with Sportspower Live Oak Swing and Slide Set in the past? If so, then please share your thoughts and feedback with the wider community by leaving a comment in the comment section below – So that they can learn also!!! 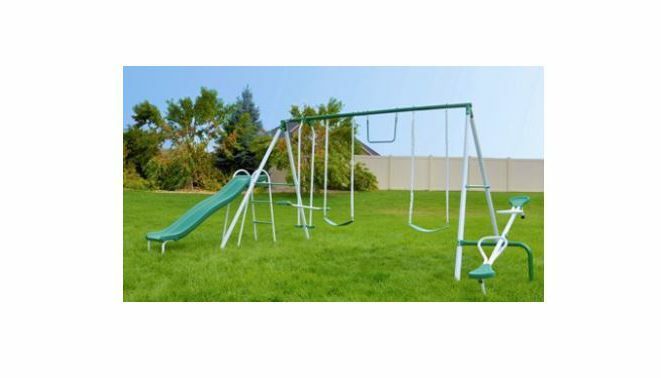 Posted in Swing Set Reviews and tagged Sportspower Live Oak Metal Swing, Sportspower Live Oak Metal Swing set review, Sportspower Live Oak Metal Swing Slide, Sportspower Live Oak Swing Set, Sportspower Live Oak Swing Slide review. Many thanks to you also Suzanne for taking the time to leave your feedback and best wishes to you and your grandchildren with their new Sportspower Live Oak Metal Swing set! You are very welcome – we are thrilled that you found our review useful and best of luck to you and your family with it in the years ahead.